Maintaining excellent air quality in the Phoenix area can be challenging and HVAC systems require a lot of maintenance to remain viable for decades. One essential part of this maintenance is air conditioning duct cleaning. A lot of people neglect it because they think it is superfluous. 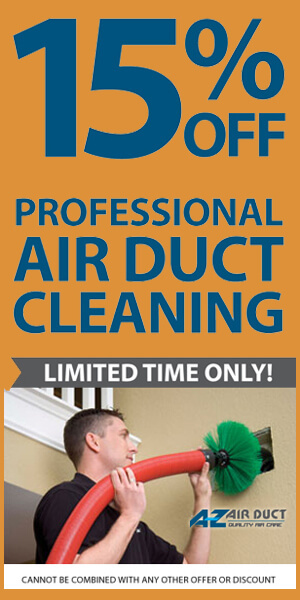 It seems like a lot to hire a professional to come out to your home to clean the ducts. However, this is a vital service you need to take advantage of if you do not already. You will benefit immensely in the long run. It is possible for debris, odors, pet hair, and other substances to make their way into the air conditioning ducts. These particles then spread throughout the home. Your air ducts require regular cleaning to ensure these materials do not get caught in the system. Every homeowner should clean out the ducts at least once a year to keep them vibrant. 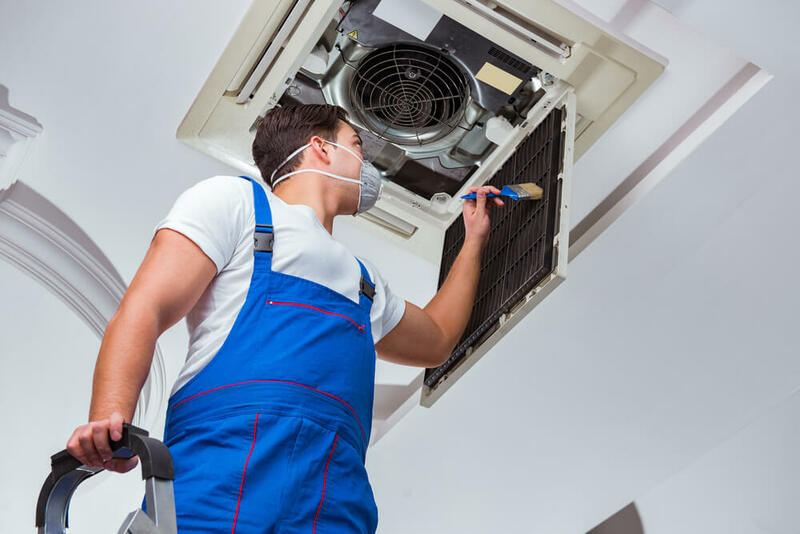 You may need an air conditioning duct cleaning more often if extenuating circumstances are present. You need an immediate air conditioning duct cleaning if you suspect there is mold in your air ducts. When moisture gets in the ducts, it can lead to mold growth. Mold spores will then spread throughout your home, which can lead to serious health complications. You know you have mold somewhere in your home if you experience chronic coughing, itchy eyes, rashes, and headaches. Some people suffer from diarrhea, vomiting, and nausea. Over time, mold can develop into a black mold, so you will need to remedy the situation right away. Many people develop allergy-related symptoms for no apparent reason. When this happens, you should take every step necessary to decontaminate your home. If you have tried everything else to no avail, then you need to get your ducts cleaned. The HVAC system could be the culprit. It could be spreading dangerous contaminants throughout your home, causing your family members to suffer. 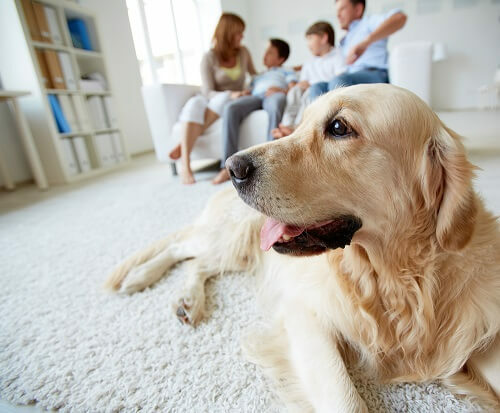 Homes with pets need to be particularly mindful and schedule air conditioning duct cleaning often. Pet dander and fur can get inside the system. Although pets may be confined to one area of the home, it can feel like they are everywhere at once. If you have guests come over who are allergic to animals, then you may think you are fine cleaning the furniture. However, pet dander circulating throughout the home can make guests feel incredibly uncomfortable. There are numerous signs pests have made their way into your home. You will find droppings, urine odors, and gnawed holes throughout your home. These animals have to live somewhere, and your home’s air ducts make for the perfect environment. It could also explain why it feels like an animal is in your home even if you do not have any pets. Our Phoenix air duct cleaning services can safely remove the animals from the ducts and clean it out thoroughly. After you remodel any area of your home be sure to clean out your air ducts. Regardless of how big or small the renovation was, dust and other particles may have made their way into the ducts. Clean it out immediately before you send that construction dust throughout your home. There are plenty of scams out there so you’ll want to make sure you hire the best professional Phoenix air duct cleaning services. 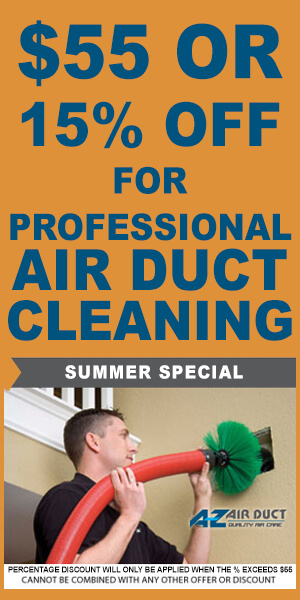 A-Z Air Duct offers exceptional services, and our team will not stop until your ducts are fully clean once again. Contact us at your earliest convenience to get a quote.